THE iconic angle looking west over Monaco, taken from the former Vista Palace hotel in Roquebrune, an eagle’s nest perched 330m above the Mediterranean. To get here, you need a car and drive up towards the motorway access ramp in the direction of Italy – lots of construction work near the hotel which is being rebuilt going on but it is worth it, especially at sunset! Beautiful February sunset captured in Monaco! One of the unfortunate particularities here is that you never actually see the sun set as the Principality faces east towards the sea and the sun drops down in the evening behind the 550m wall of the Tête de Chien mountain located to the west. However there are certain evenings, especially in winter, where the cloud patterns over the Italian mountains capture the final rays of the setting sun and set the sky on fire in a truly splendid manner – this is a perfect example and great to reminisce over as I fly towards Sofia in Bulgaria, my home for the next 5 days (perhaps some of the next daily pictures will come from there!). This rather bizarre lunar landscape caused by both sea and wind erosion can be observed at the tip of Cap Martin, between Monaco and Menton. On a stormy day, the views looking west towards Tête de Chien and Cap Ferrat in the distance are particularly stunning! The walk from Monaco to Menton via the tip of Cap Ferrat takes around 3 hours along the Sentier des Douaniers and is a great breath of fresh air, just make sure that you bring plenty of sun cream and water in the summer – find out more in this article. Every summer all across the French Riviera coastline, the night sky is lit up by hundreds of spectacular colours and festive bangs to celebrate the balmy weather and the holiday season. The Principality of Monaco is no exception, since pretty much every evening around midnight, a short fireworks display is launched during the Sporting Club summer festival after each concert for the benefit of the viewing public who have paid for the privilege. But in terms of fireworks, the centrepiece remains the Monaco International Fireworks Competition (officially the “Concours international de feux d’artifice pyromélodiques de Monaco”) which blocks off the whole town for 20 minutes of magic set to synchronised (the organisers hope!) music, highlighting the talents of fireworks artists from all around the world – obviously everything is free! The start of 2017 hasn’t been wonderful in terms of weather on the French Riviera, at least from what I’ve been told as I’ve been travelling for 5 consecutive weeks so far for work to some much colder parts of Europe, namely Paris, Vienna, Munich, Stuttgart, Berlin, Düsseldorf and Cologne. However, this weekend was hopefully a sign of better times and after a lovely day yesterday in Nice (see the carnival pictures and video I shared on the French Riviera Blog Facebook page), I decided to enjoy the afternoon with a very pleasant 45 minute run around some of the major sights on the western part of Monaco and therefore enjoyed a beautiful sunset. I figured, in the spirit of this blog, that it would be nice to share the pictures as it’s a really nice tour that takes in plenty of the most beautiful views of the Principality, just be warned that it does go uphill and downhill a lot so I did this at a very slow pace given my appalling fitness condition! Enjoy the photos! Next week if the weather is still decent, I might go and check out the last weekend of the Fête des Citrons in Menton, if so I’ll share my experiences soon! The Oceanographic Museum of Monaco: the Principality’s legendary temple of the sea! 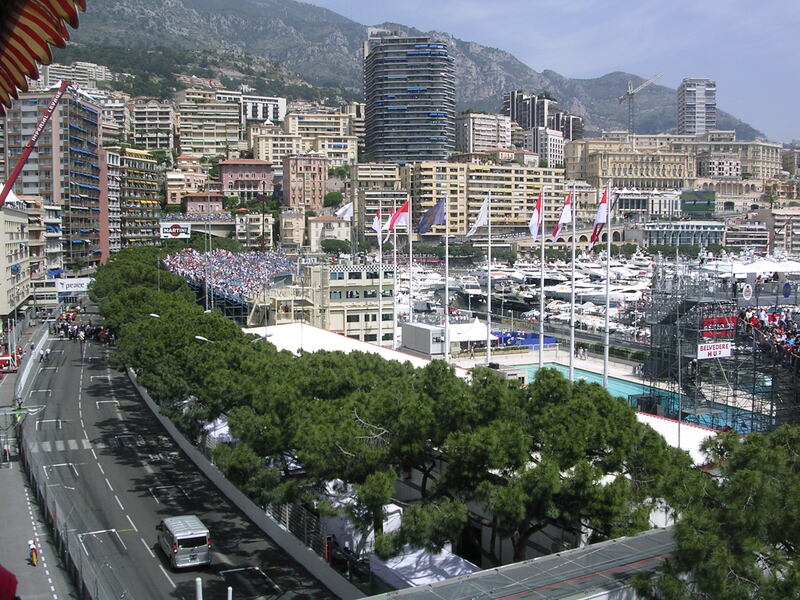 The Monaco Grand Prix is probably the biggest and most prestigious regular event on the French Riviera calendar, ahead of the Cannes Film Festival and the Carnival of Nice. Each year, it brings a magical atmosphere to the Principality, really kick-starting the summer season with plenty of private parties on the yachts in the harbour, a very cosmopolitan atmosphere and huge amounts of visitors (and therefore VAT income for the Monegasque government!). Of course, the Grand Prix completely changes the face of the Principality for 3 months, as the roads are full of temporary grandstands, crash barriers, tyres and blockades which are prepared two months in advance and take a month to dismantle afterwards, so there are huge logistics behind the event, the statistics provided by the Automobile Club of Monaco are impressive (see the “presentation” tab). Since the turn of the millennium, there has also been a Historic Grand Prix, which runs every even-numbered year two weeks before the main race, rather interesting to remind spectators of the race’s heritage as the first Monaco Grand Prix was run in 1929, though the first official race in the Formula 1 calendar was in 1950. And in 2015, the first electric Grand Prix, run by FIA under the name “EPrix” took place took two weeks before the F1 event and now also runs every two years. 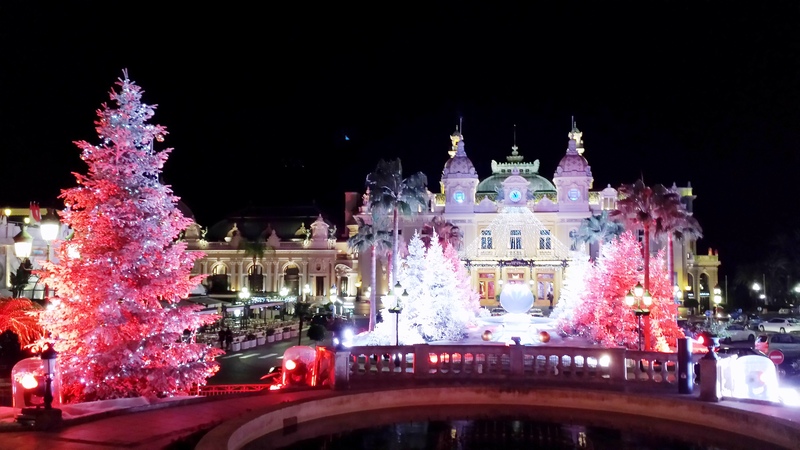 Visiting Monaco on a tight budget: yes, it is possible! 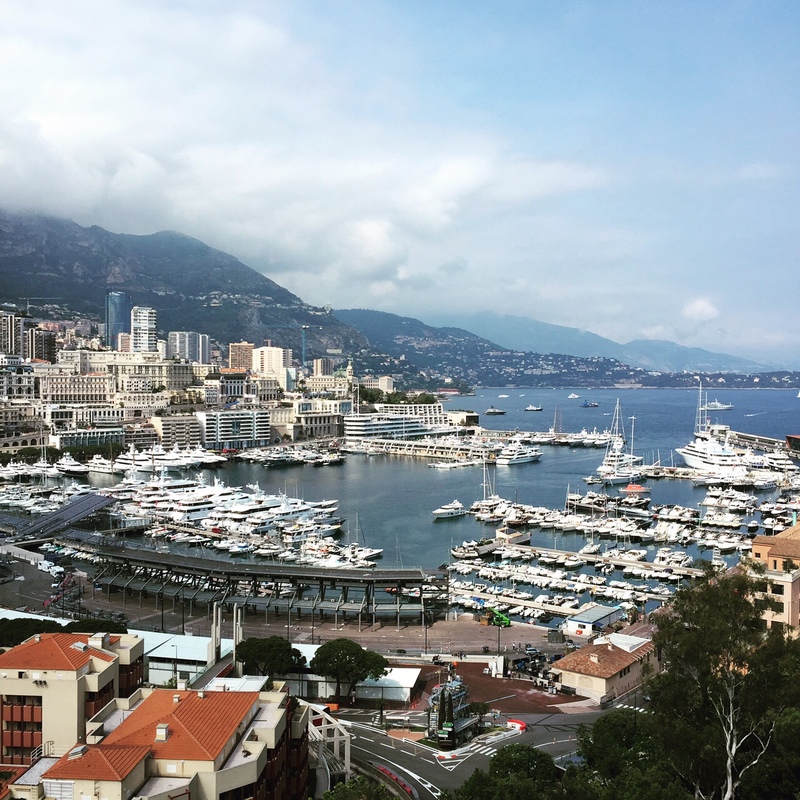 Monaco: gorgeous, but not as expensive as you may think. Follow the advice below for a rip-off free experience! No, Monaco is not as expensive as you may think… Some of you may be contemplating a trip to Monaco in the near future but have this impression of the Principality as a place where you cannot get by with under 1.000€ per day. Naturally, if you do have the desire to spend that amount, you can easily find hundreds of exotic ways of getting rid of large sums of money in a couple of minutes! The good news is that Monaco is also a place where normal people, not just multi-millionaires, live and work, and that there are therefore plenty of ways for the common of mortals to have a wonderful sample of what the country can offer on a very reasonable budget. Follow the advice below and you’ll find that, contrary to popular belief, Monaco is much cheaper than most major cities in Europe on several different levels. A very merry Xmas to all the readers of the French Riviera Blog, thanks for your support over the last three years!